We offer exterior board and batten shutters constructed from two different materials. High-quality wood board and batten shutters have been used for centuries to make American homes more comfortable, safe, and attractive. We use two kiln-dried lumbers to forge the boards and battens that compose our line of premium wood shutters. Each panel is assembled with time-tested techniques for maximum strength and longevity. All board and batten shutters are sold primed or fully painted, but not unfinished. California Redwood is a distinct species that is popular for construction of many outdoor structures, including decks and fences. It is lightweight, strong, and naturally resists insects and decay. We use Select Grade B (97% clear) Redwood, which may contain minor blemishes. It is a step down from top grade lumber, yet perfectly acceptable for construction of board and batten exterior shutters. The price of Redwood shutters is at the most affordable level and the best overall value. 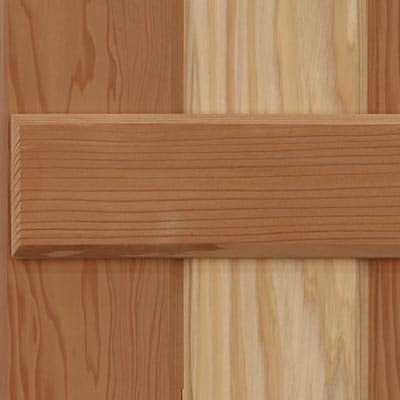 Western Red Cedar is the most common material for building exterior board and batten shutters in the industry. Cedar has many of the same qualities as Redwood, yet is less dense, making it easier to sand and finish. We use Select Grade B (99.5% clear) and better Cedar to begin the manufacturing process. Cedar shutters sell at a slightly higher price point than Redwood. Synthetic materials have only recently become an acceptable substitute for natural wood. Our composite board and batten shutters are constructed from high quality durable material that is impervious to moisture, rot, and termites. Composite shutters outperform wood in many categories. Extira is an engineered product formed with sustainable wood fiber (sawdust) with marine grade resins. 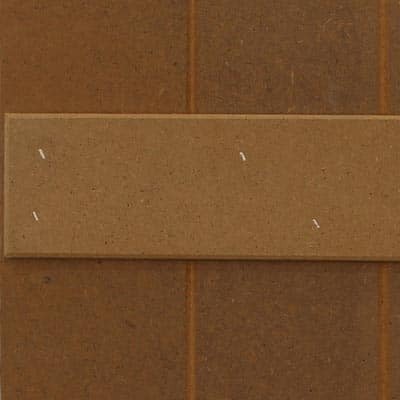 The raw materials are pressed into dense rigid panels. 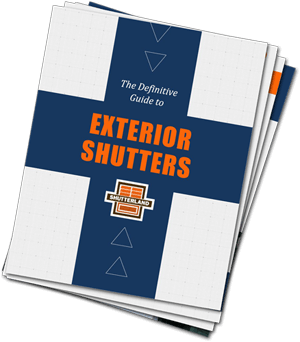 Shutter components are cut from larger sheets and shaped to specification. Composite shutters can be hinged but have only one presentable side, yet are priced lower than premium wood shutters.